The first Death Café west of the Mississippi will be held in Albuquerque on Sunday, September 30 from 3:00 to 5:00 p.m. At this free, RSVP-only event, people come together in a relaxed, confidential and safe setting to discuss death, drink tea (or your favorite beverage) and eat delicious cake or cookies. The Death Café concept started in England, where “stiff-upper-lip” Brits have an especially hard time talking about death. Founder Jon Underwood modeled it on the café mortel created by Swiss sociologist Bernard Crettaz. Underwood held his first Death Café event September 2011 in London. Hospice volunteer and thanatologist Lizzy Miles coordinated the first U.S. Death Café held in Columbus, Ohio July 2012. 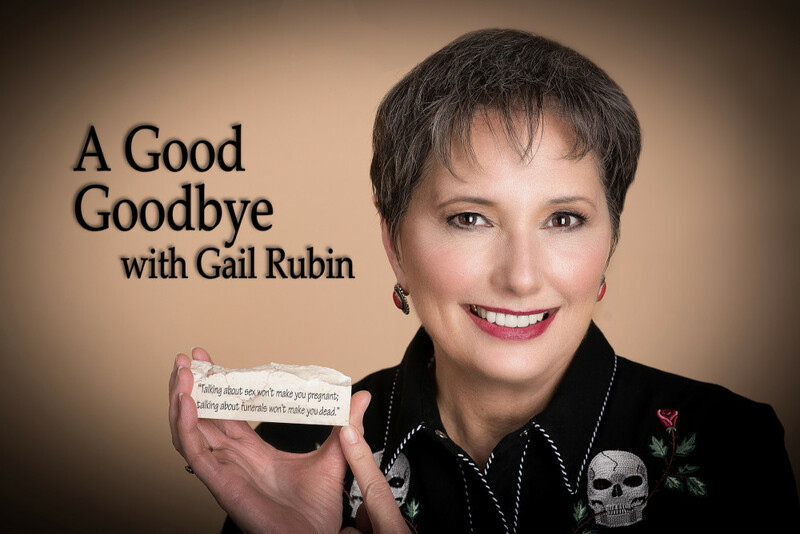 Gail Rubin is author of A Good Goodbye: Funeral Planning for Those Who Don’t Plan to Die. Additional Death Café events may be scheduled in the future. For more information visit www.AGoodGoodbye.com and the ABQ Death Café event page. When: Sunday, September 30, 2012, 3:00 p.m. to 5:00 p.m.
How to Register: To participate, email a note to Gail[at]AGoodGoodbye.com with your name, email, phone, city, state and how you heard about the event. She’ll send the location for Albuquerque’s first Death Cafe event directly.